Hey there. Who here fancies a game of Rock, Paper, Scissors, Lizard, Spock? o.O What? You're not familiar with the game? It's a variation of the childhood favorite Rock, Paper, Scissors and there are many who know the game and know the game well. In fact, this year, at Gen Con, the largest group of participates gathered and participated in the largest tournament of Rock, Paper, Scissors, Lizard, Spock ever! The previous record was 2,826 participants and the new record is now 2,950! And Oomba was there to organize and record the whole thing! 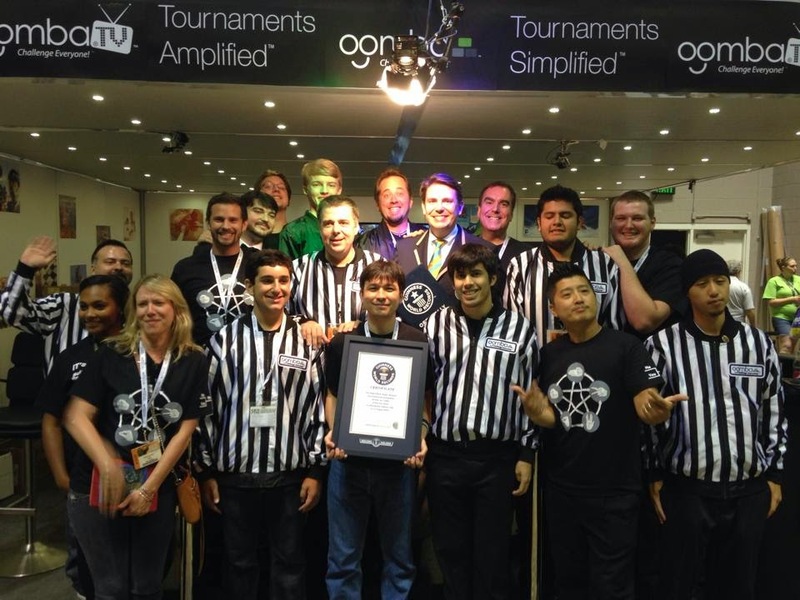 Oomba is known for broadcasting live sporting tournaments and events (including gaming) but decided to organize their very own tournament for the first time at Gen Con this year and it turned out to be a record breaking one! Congrats to the Oomba team and congrats to all of you that participated in this year's tournament! I'm sure they'll be back next year to try break that record again!